Food packaging is in a transition period. Heavy, rigid cardboard and plastic containers are on their way out. To a large degree, flexible packaging is sliding in to take their place. According to the Flexible Packaging Association (FPA), it's the "second largest packaging segment in the U.S.," capturing nearly a 20 percent share of the $164 billion market. From small plants to major industries, flexible packaging accounts for 60 percent of shipments, says the FPA. And here are a few reasons why. Flexible food packaging requires fewer materials for production and costs less to manufacture than heavy, rigid plastics. They're budget-smart, but without compromising quality. Bag-in-box systems, for example, use notably less plastic than a rigid container of similar capacity, and they cost much less. The Smart Pail system has the durability of a rigid pail, but in a lighter, 2-part system with a thin, film seal instead of a bulky lid. Flexibility doesn't just describe the way Smart Pail and bag-in-box packaging can bend, flex and expand. They offer flexible design choices, as well. Several styles of Smart Pail lid film are available for a wide range of purposes. Choose from tamper-evident, peel and reseal, disposable and oxygen barrier films. Bag-in-box flexible packaging offers pillow-shape or form-fit liners, multiple film thicknesses and strengths, and several tap options. Flexible packaging helps long-haul carriers enjoy more efficient performance, too. With fewer materials and a lighter product, shipping costs less. It's much more cost-efficient to transport flexible materials than rigid containers. They're significantly lighter, and flexible containers take up less space. Some packaging collapses to lie flat, making transport even easier. 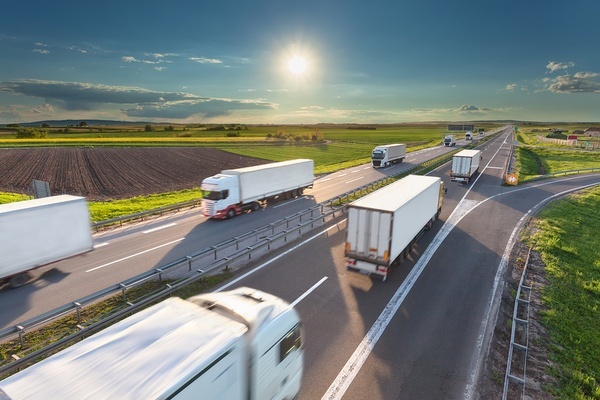 Smaller freight loads also put less strain on the environment. They help you do your part toward fewer greenhouse gas emissions and a lower carbon footprint. Less transportation, lower freight costs, and cleaner air make everyone a winner. If you need optimum food purity and protection from contamination, flexible packaging is your best bet. Multi-layer liners are strong and durable, and high-barrier liners prevent oxygen infiltration to keep products fresher longer. Smart Pail’s lidding has a resealable, tamper-evident film. Oxygen barrier lidding takes product purity up a notch. And without a removable lid to drop or misplace, there's no risk of accidental cross-contamination. There's no material that combines as many benefits with eco-friendliness as flexible packaging. It's one of the most responsible choices that you can make. The Smart Pail system uses LLDPE or HDPE recyclable materials and a corrugated container, which helps eliminate the amount of product your facility sends to a landfill. Smart Pail and Bag-in-Box flexible food packaging components are designed to conserve space. That's true, whether they're unfilled, stacked and waiting, or filled and ready for the end-user. Numerous unfilled bags take up less storage space than one empty rigid container. Even Smart Pail packaging nests and stacks smaller, requiring less room on a warehouse shelf or transport truck. Consumer demand drives the popularity of flexible packaging, according to Packaging Digest. It's easy to handle and fits neatly on a shelf. Cost, performance, and sustainability make it the right choice on the production end. It's the direction global food packaging is headed and for good reason. As technology improves, expect more choices, better performance and a larger presence in the food packaging industry. Contact CDF Corporation to learn how we can help your budget, product performance and sustainability goals merge in one smart choice.